2 Scones 1 Cup is a new café situated in a quiet part of the Section 17 residential area just a stone’s throw from Happy Mansion. Despite the similarities of the name to a certain video (please don’t Google it), this is purely coincidental. The only thing in this cup is coffee. Aside from scones, they also serve local and Western food. 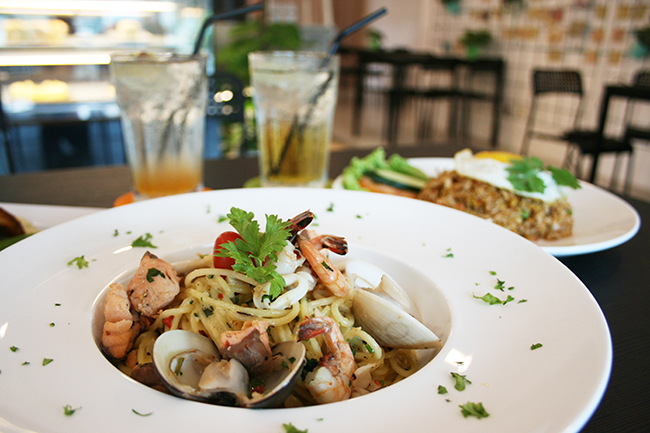 Spicy Cream with Seafood Spaghetti and Nasi Goreng Kampung. Photo: Lyn Ong. 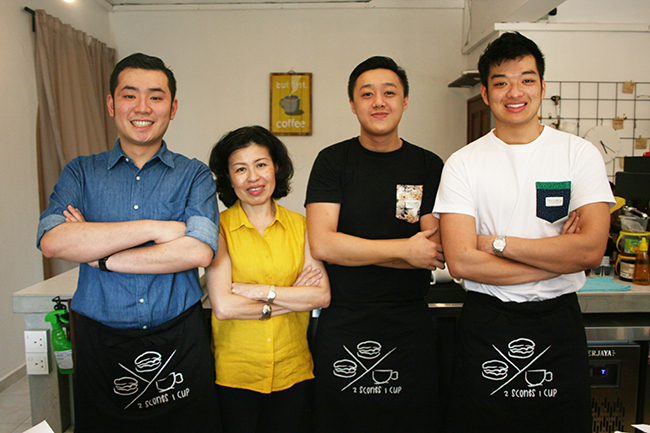 Five friends (Kun Quan, Horng Qing, Eugene, Nicholas and Natasha) who are fresh graduates from various fields decided to band together and open a place serving scones and hot meals. 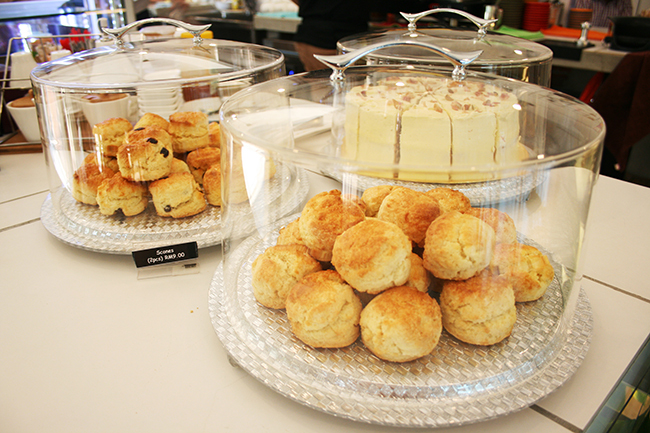 Recipe for the scones come from Kun Quan’s mother who is also one of the partners for this café. Their commitment is to keep things as homely and affordable as possible with emphasis on quality. 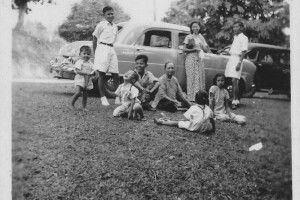 Horng Qing, Miss Ong (Kun Quan’s mother), Nicholas and Eugene. Photo: Lyn Ong. Their scones (original or raisin) served with clotted cream and strawberry jam. Perfect for afternoon tea or as an accompaniment to your main meal. The texture is crumbly without being dry and goes down well with hot tea. 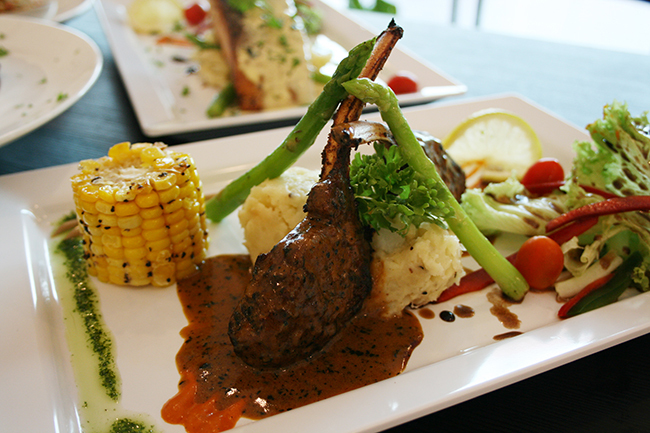 For your mains, the Nasi Goreng Kampung, Lamb Rack, Spicy Cream with Seafood Spaghetti and Salmon Fillet come recommended. Lamb Rack. Photo: Lyn Ong. Calm and quiet (for now), it’s a good spot for afternoon tea with a bright, cheerful setting. Grandparents won’t feel out of place in this neighbourhood joint. Scones are RM9 for two. Main meals average around RM8.90 for local dishes to RM24.90 for Western ones. 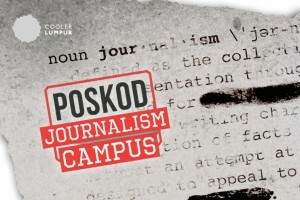 627, Jalan 17/8, 46400 Petaling Jaya. 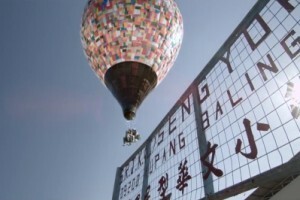 Opens daily from 10.30am – 10.30pm. Find out more about 2 Scones 1 Cup here.